Availability: This product is discontinued and no longer available for purchase. For alternatives browse our BH Fitness department. The BH Fitness Duke indoor cycle has an oversized steel frame, specially treated for corrosion resistance and then powder coated for complete protection. 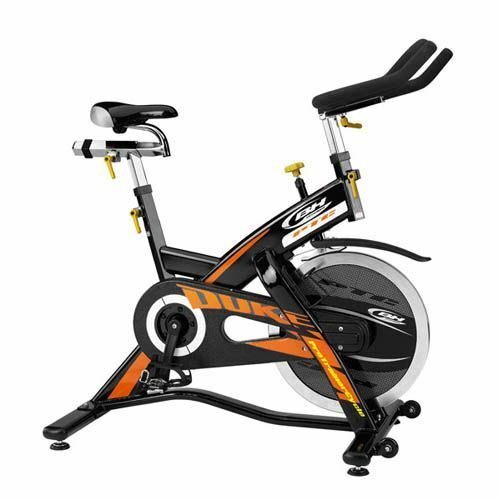 With a 20kg flywheel, this sturdy and very versatile Duke indoor cycle can deliver a complete cardiovascular workout with super smooth performance. Multi-purpose pedals feature both standard baskets and cycling shoe clips to provide a more realistic racing experience, whilst the handlebars and seat are completely adjustable both horizontally and vertically to provide a perfect fit and the most comfortable training position. A gel coated seat gives you maximum comfort for every training session and your training can be as demanding as you want, with leather friction pad resistance that offers almost infinite adjustability. All products in the BH Fitness range that are purchased from our store are backed by a full manufacturer’s warranty. In the unlikely event of a problem with your machine you can contact the manufacturer in the UK either online or by phone and they will guarantee a repair within 7 days of the fault being reported. Excellent service from a quality Brand. 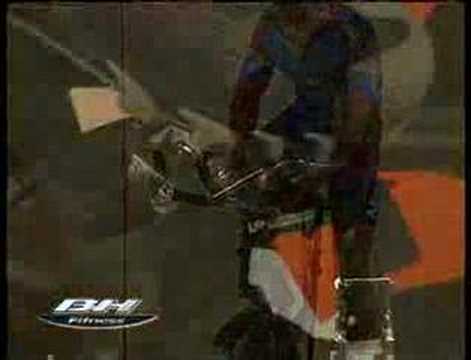 for submitting product review about BH Fitness Duke Indoor Cycle.